Buying Diazepam 5Mg Online I was lucky enough to score a test pressing of this upcoming 12-inch from Let’s Pet Puppies label head Thomos today. While most DJs will undoubtedly purchase this for the title track with its stripped-down percussion and slightly risque lyrics, it’s “Whistle Worm” which has me most excited. http://charlotteskitchendiary.com/2016/10/28/a-foodie-guide-to-andalucia/ “Whistle Worm” was unreleased until now, but is apparently of 1986 vintage. It deserves a place on my Strings of Life chart, with mysterious, melancholy depths reminiscent of Virgo Four’s four (only) tracks. For five and a half minutes, snares and congas tick and tap as synths whistle and distort. Near the end, it gets even spacier, with high pitches gliding and quivering over the nice low bassline. Kudos to Thomos for unearthing this (not to mention “Without Makeup” a couple of years back). Who knows how many more tracks like this are out there? 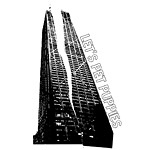 http://charlotteskitchendiary.com/com/..rar The first three Let’s Pet Puppies singles just went up on Beatport, for your iPod pleasure.